It didn’t take long for the news media to hit another iceberg. This time it was in the Old Dominion. Virginia became the subject of media attention (okay, some media attention) since Democrats tried to push a bill that would’ve permitted abortions up until the moment of birth. It was a ghastly bill that was rejected. Still, Democratic Gov. Ralph Northam, a medical doctor, decided to weigh in during a radio interview this week, where he was torched for his remarks that pretty much detailed how this bill would permit the murder of babies. The Democrats’ abortion extremism was on full display. He responded to the blowback by saying he doesn’t regret his remarks about the legislation. 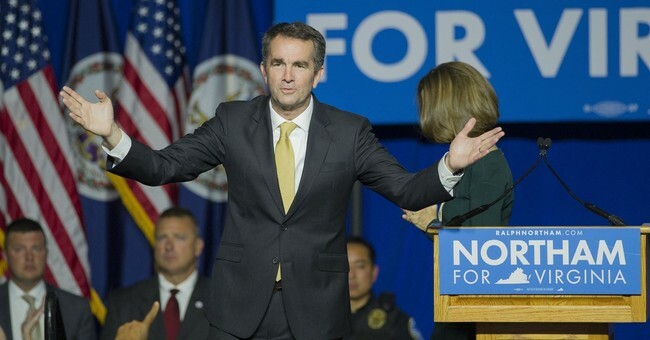 Still, even as the Democratic Party scrambled to figure out what to do, CNN, the facts first, ‘this is an apple’ news network, decided to just label Democratic Ralph Northam a Republican in a video the governor’s office issued last evening on the matter. It was an apple, but CNN decided it was a banana regarding Northam’s party affiliation. You cannot make this up. If this was an honest error, it’s still embarrassing. CNN and other covered the 2017 elections. They basked in the glory of the blue wave that crashed last year. And they thought Northam was a Republican. The Democrat-media complex is hard at work, but they cannot spin this. So, this is channeling the 'facts first' mantra, huh, CNN? Dear lord, guys.